School’s out for summer! Well, school’s out tomorrow, anyway, in both Darien and New Canaan. Every year, on the last day of school, I used to take my kids to Baskin Robbins. It was a tradition we all loved, and regardless of how old they got, a tradition we happily upheld. I love summer in Fairfield County, especially with kids. While many people headed out of town, we mostly liked to stay and enjoy the quieter town and slower pace. Before my girls went away to a sleepaway camp, they attended local town and dance camps in Darien. I remember numerous talent shows both at camps and at our local block party. There were always a lot of Beach Boys songs being sung and danced to. 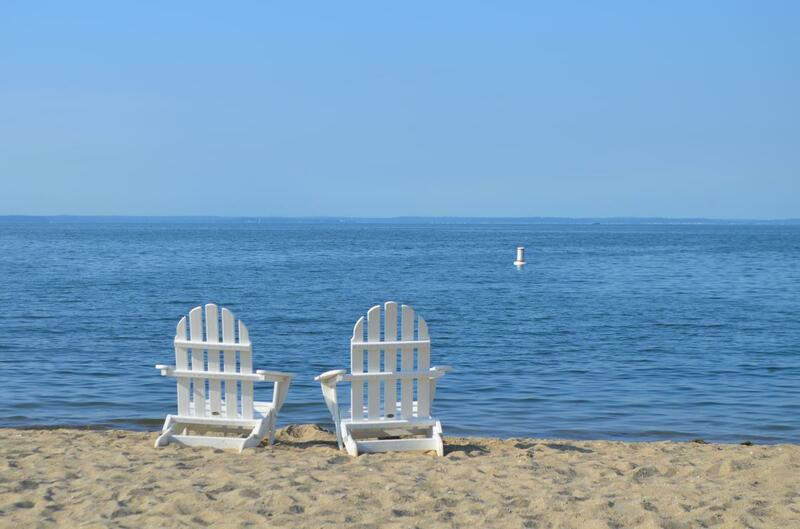 My husband Peter and I loved taking the kids to Weed Beach and Pear Tree Point Beach in Darien, especially on those hot, humid days in August. It was always cooler on the beach. While my husband believes in constant movement while relaxing, I prefer to relax under an umbrella, drink in hand, reading a current novel. And, while my husband and kids would foolishly try and tan themselves with their reddish Irish skin, I would tan twice as much with sunscreen and a hat on, under that umbrella. There is a definite benefit to having European skin. We also loved taking the kids to Sherwood Island in Westport to take long walks with the dogs. The kids behaved; the dogs did not. As the kids got older, it was great to be able to drop them off for camp or tennis and golf lessons at The Country Club of Darien, where they’d be entertained for hours at the pool with their friends (and, I’ve since learned, using their allowance to buy a ridiculous amount of edible frozen cookie dough). When it got too hot, we often went into the cool air conditioning of the local movie theaters or to The Maritime Center in South Norwalk. There are endless ways to cool off indoors as well as be entertained outdoors. Now that my kids are older, the biggest tradition we uphold is dinner (and maybe a drink or two) at Viva Zapata in Westport, playing mini-golf in East Norwalk at the beach, and depending on our moods, either grabbing a cooler of drinks or having an ice cream cone at Sweet Ashley’s. What was once a small family affair has turned into a tradition including our kids’ significant others. We all cherish this tradition, get just slightly competitive, and make an effort to go together at least once every summer. Happy summer! What are you looking forward to this summer?